Hail seizure? 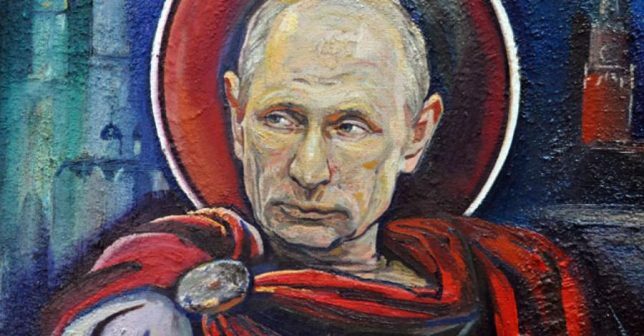 Putin’s image as the “conquering hero” has caused some to paint him as some sort of latter-day Caesar… or further, as someone positively godlike. Lettuce pray. 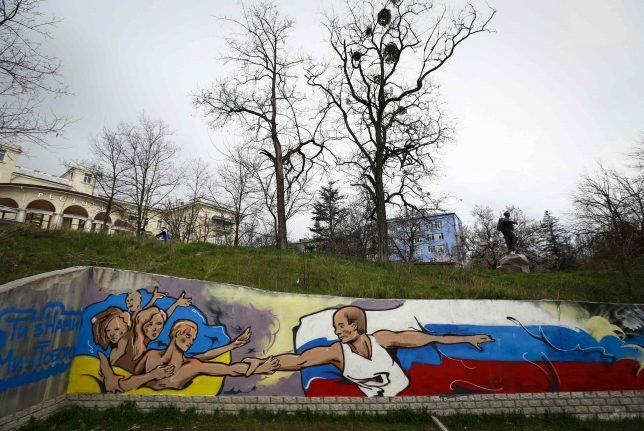 We’re sure the composition above depicting Putin stretching out a helping hand to the oppressed people of the Ukraine was entirely uninfluenced by Michelangelo’s “The Creation of Adam” fresco from the ceiling of the Sistine Chapel. Yeah, that’s the ticket! 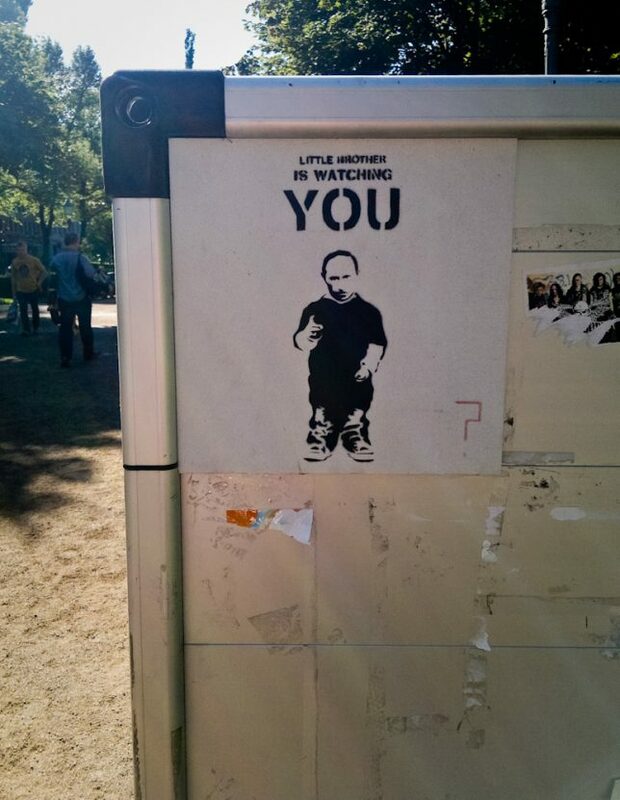 Big Brother, little brother, why all the bother? 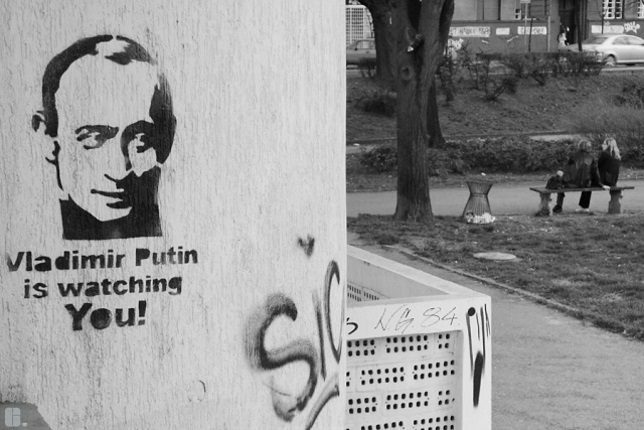 Besides, Putin may be watching us but no doubt someone’s watching the watcher… right? In any case, there’s nothing to see here, citizen, just move along and enjoy your afternoon on a public park bench. Vladimir Putin’s been in power long enough that there’s nary a special interest group or segment of society he hasn’t managed to offend. That’s putting it lightly when it comes to gay rights, of course. 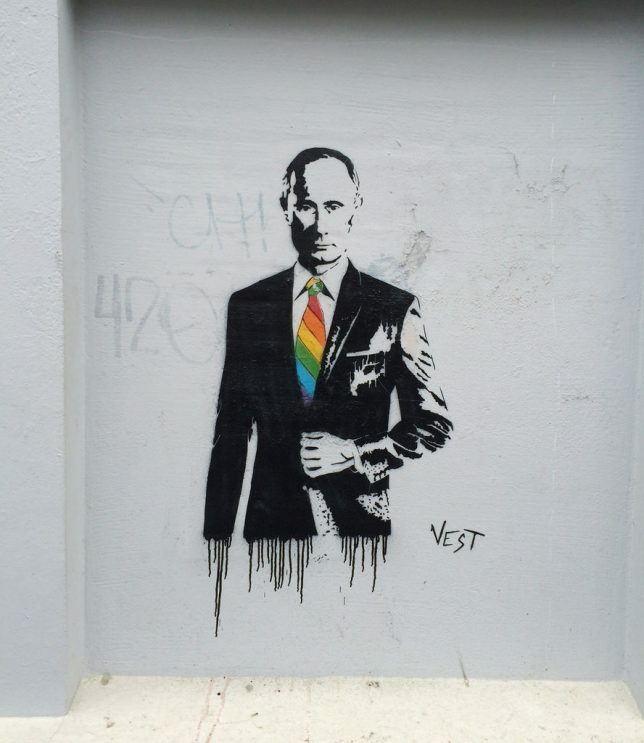 The above “Rainbow Putin” street artwork from Bergen, Norway was snapped by Flickr user Christine Mjos (mjosetad) in February of 2014. 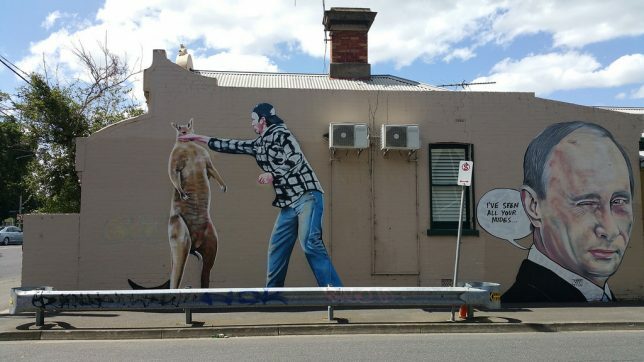 Melbourne-based street artist Lush Sux employs humor, wit, sarcasm and a hefty dose of innate artistic talent when illustrating the urban landscape. 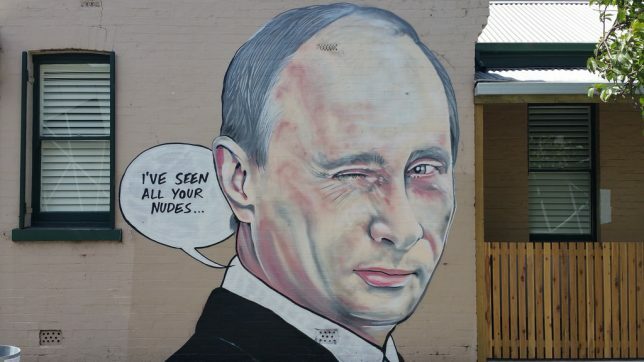 His take on Vladimir Putin is made extra-topical thanks to its neighbor, a still image from the famous/infamous “guy punches kangaroo” viral video from December of 2016. Are you a wizard? Naw, just someone who wants to make Russia great again. 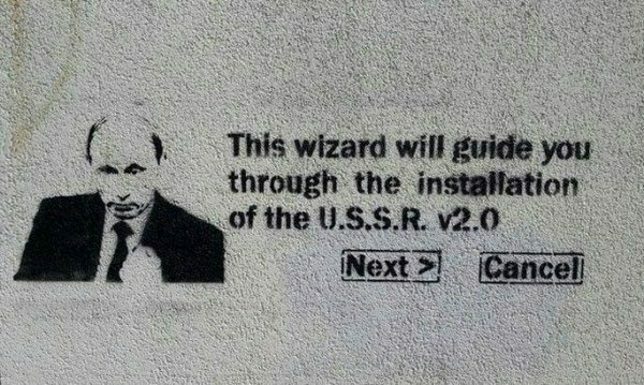 The stencil above comes from Berlin, a city whose residents would not be amenable to USSR v2.0 in any way, shape or form.